Yesterday was a beautiful, sunny day at Lime Kiln Farm Wildlife Sanctuary. The snow was deep and fluffy. 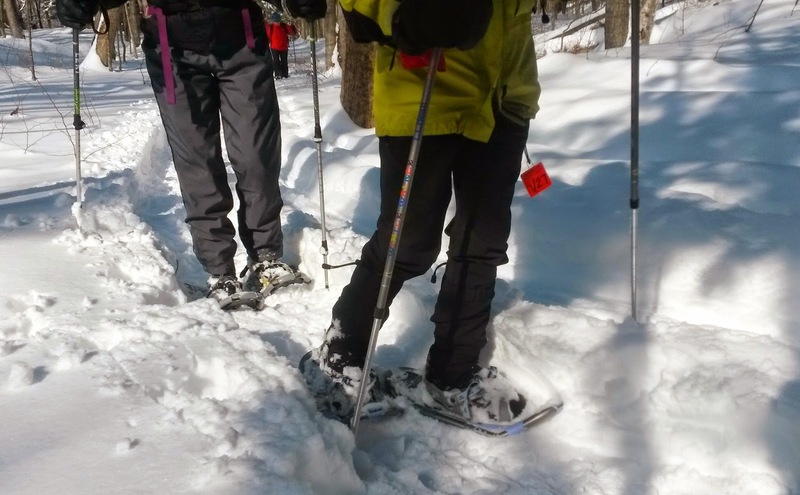 We saw many tracks that had been partially covered by the day-before's snowfall, and a few fresh ones. 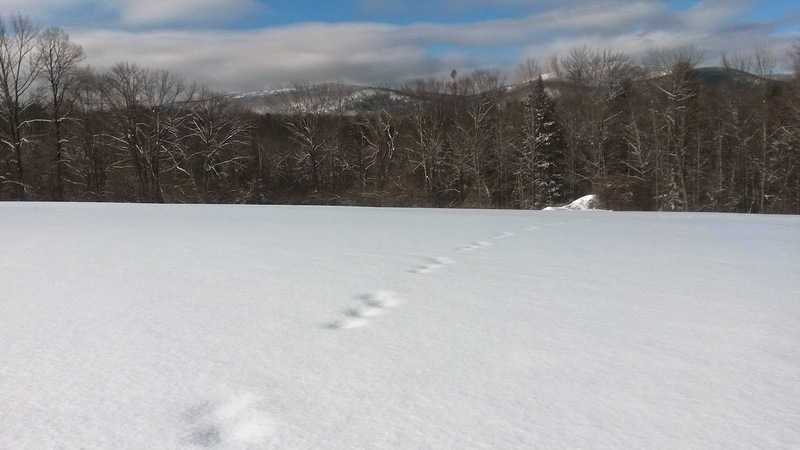 The rabbits were most-recently active and left lots of prints in the snow. This 260-acre Audubon property has many fields with great views west to the ridge over which the Appalachian trail traverses. We identified Mt. Everett, the highest; Mt. Bushnell and Jug End to the north; and, to the south, Mount Race and Bear Mountain with Sages Ravine in between. From the farthest field on the Scenic Vista Trail, there is also a view north, towards Mt. Greylock. For more observations, check out my other two posts about this property. I love it any time of year! 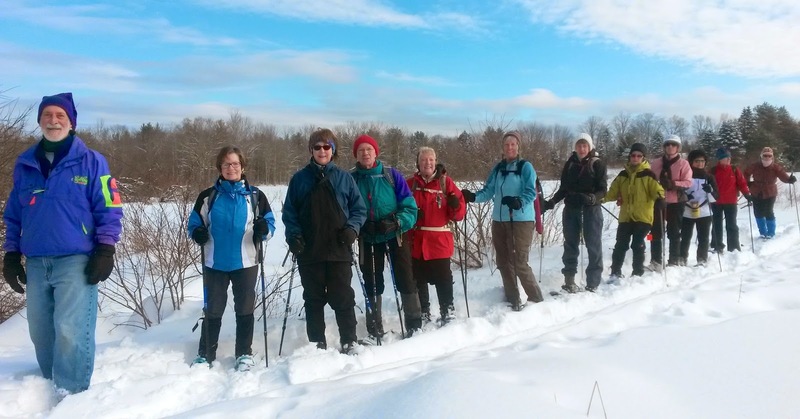 One of us was on cross-country skies; the rest, snow shoes. hopping around in the bushes near the trail. 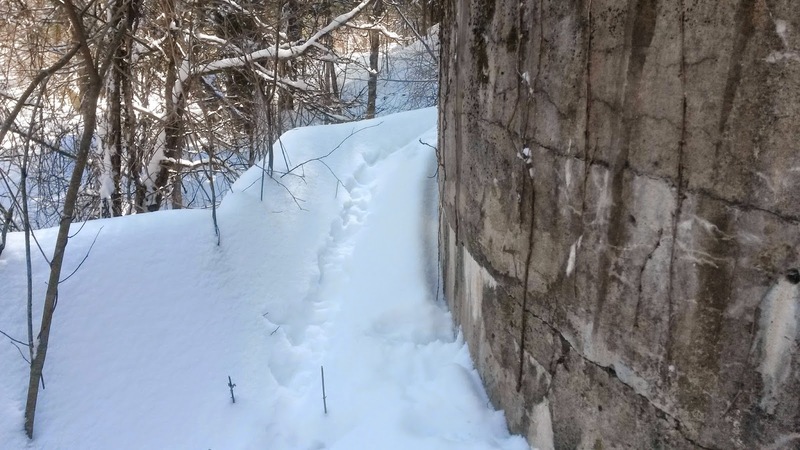 The bunnies had a well-worn path around the back of the old lime kiln. 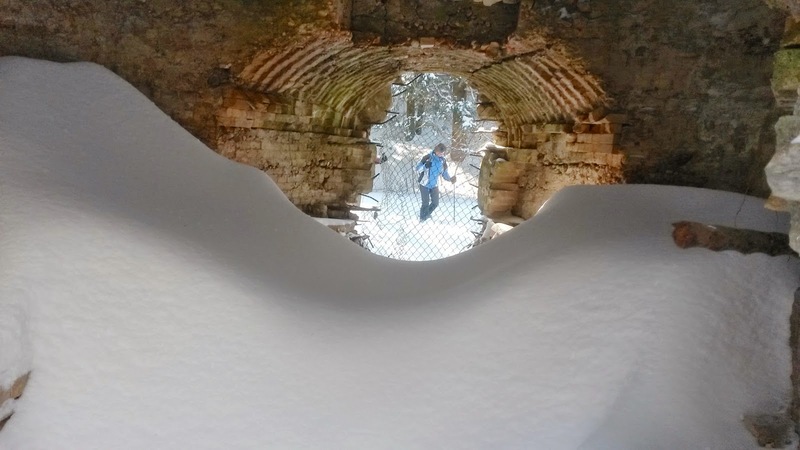 The snow was deeply drifted inside the deteriorating 40-foot-tall structure. The sunshine felt warm and the temperature was in the 20s. Something, probably a deer, bounded across the field a few days ago. 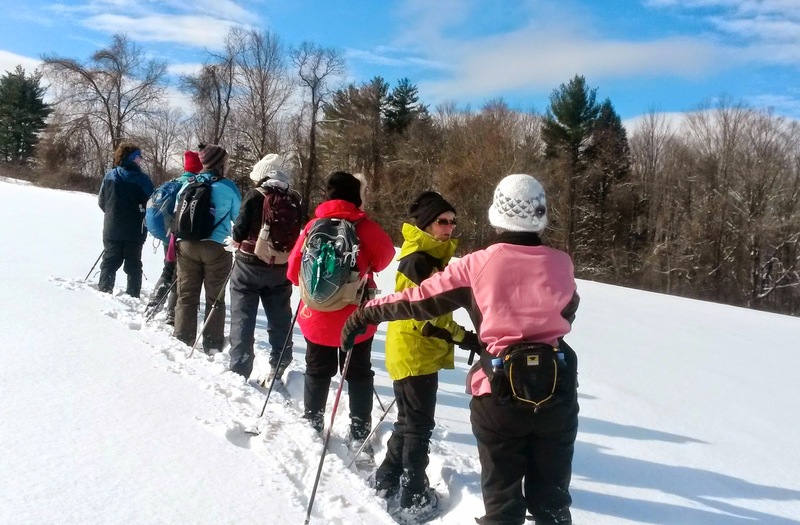 Good thing we were wearing snow shoes! The snow was deep.